One of the most important art museums in Sao Paulo is San Paolo Museum of Art (Museu de Arte de Sao Paulo, MASP). Brazilian diplomat, Assis Chateaubriand, and Italian curator, Pietro Maria Bardi, founded this private non-profit gallery in 1947. It is a landmark of Sao Paulo: a two-storey building made mostly from glass and concrete designed by Italian born Brazilian architect Lina Bo Bardi. 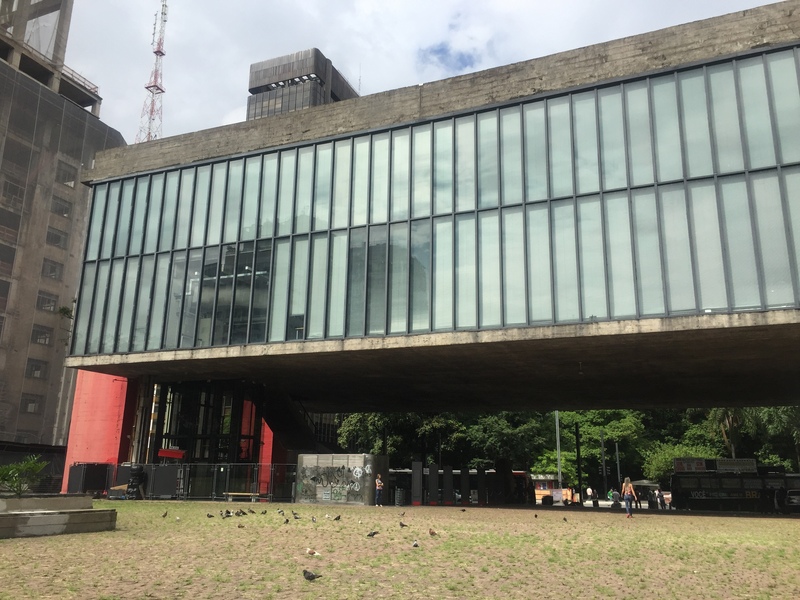 MASP houses the biggest collection of European Art in Latin America. The two floors of the museum are very different. The first floor does not have any inside walls and paintings are randomly hung on the walls. The idea behind it is to display art that is rarely shown to the public. Even though the paintings are not organised by genre or time, the room looks fresh and does not look chaotic. However, the second floor has walls and is clearly structured. The structure of the space is intelligently created. There are windows from one room to another, so the viewer can have a preview of what is coming next. The majority of artworks are in good condition, though some need varnishing. 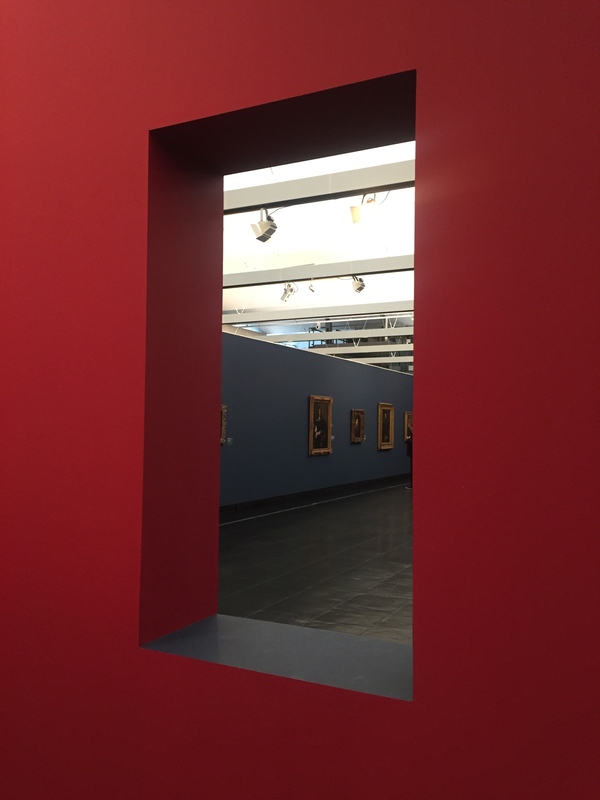 There are two exhibitions at the moment: “The triumph of details and then nothing” and “The passages by Paris”. The Exhibition “The triumph of details and then nothing” leads us through a journey of time. The paintings show the viewer how the amount of details vanished through art history. In the 16th-18th centuries the more details the better the painting was regarded. Gradually paintings with fewer details were more appreciated. The first room of the exhibition presents large and significant portraits from 16th – 17th centuries. All portraits have massive gold frames and they are placed against a deep blue coloured wall, which highlights the importance of people captured on the canvas. The second room concentrates on landscapes from different periods. The room is painted in vibrant red so the pallet of the landscapes looks brighter. Finally, modern and contemporary art is shown against white walls. The paintings look bold and showing their simplicity and absence of details. The second exhibition, “The passages by Paris”, which is devoted to modern art in the 19th century in Paris is full of big names such as Degas, Renoir, Van Gogh, Matisse and Gauguin. It is a pleasure to walk through rooms with rare paintings of famous artists on the wall. The collection is not large compared to museums in Europe, but it looks rich and worthy. 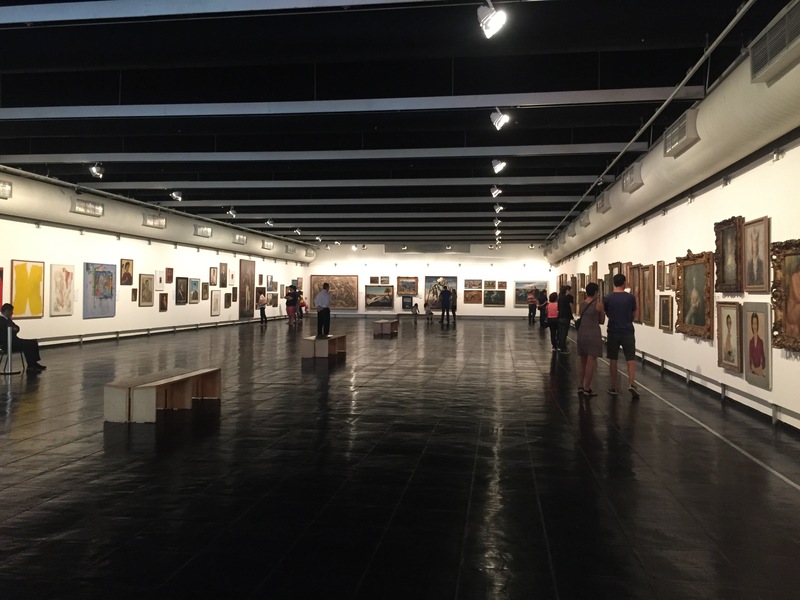 Sao Paulo Museum of Art was a true pleasure to visit.